My chums at the excellent weather website StormX have a couple of interesting postings on their site today concerning the long-term weather outlook for Europe and the US this summer. 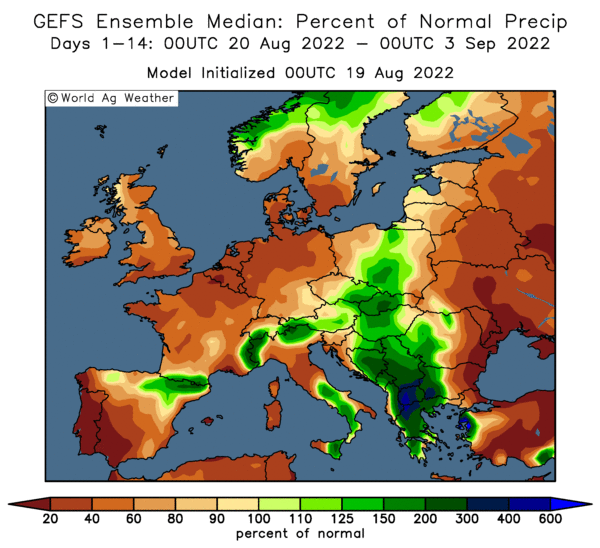 The European outlook here is predicting hot & dry conditions for Eastern Europe and the Black Sea during June, July and August which may not be great news for wheat production in those areas. Sadly, but not surprisingly, there is no mention of the long hot summer here in the UK that some in the media have been promising us after last year's wash-out. In fact they are calling for "unusually moist conditions" for the north of the country. For the US outlook, here, they are predicting cool and wet for the Midwest with a "relatively high" degree of confidence no less. That won't do much for an early harvest, which could offer the potential for a late weather scare at the back-end. Perhaps even more importantly, America's dwindling stocks of soybeans may have to be eeked out a bit longer than anticipated. That really could put the cat amongst the pigeons. Buying and holding September soybeans could be a great punt. Remember they shot up 274 cents, or almost four limit moves in one go, on the day the contract expired last year. July CBOT wheat closed at a four month high of $6.12 ½, up 19 cents. Fund money seems to be coming back into commodities, and outside markets were firmer, which helped wheat. Fundamentally though, wheat was the firmest of the grains because US weather offers the most threat to the crop. Spring wheat (and to a degree corn) plantings are severely delayed, soaring soybean prices offer an opportunity to cash in on this. World production is shrinking in 2009, with almost all the major exporters looking at sharply reduced crops. Meanwhile Egypt has got big problems with the quality of Russian wheat. July soybeans finished at $11.66, down 9 cents. Soybeans closed lower on the old crop and higher on the new, narrowing the July/November Soybean spread by 17 cents. Futures moved higher early in the session but profit-taking ahead of the long weekend put levels on the defensive by the close. Weekend weather in the US is the next major factor and things could look a lot different on Tuesday morning when the markets next re-open. July corn closed at $4.30 ¼, up 6 ¼ cents. Wet weather in the Midwest is seen as continuing to delay corn plantings which will ultimately reduce final output there. Crude oil was firmer, and the dollar weaker which also added support. Spillover strength from wheat was also a factor today. EU wheat futures closed higher Friday following US markets higher and also paying heed to sharply lower production prospects out of Eastern Europe. Paris November milling wheat was up EUR1.75 at EUR158.50/tonne, and London November feed wheat was up GBP2.35 at GBP131.00/tonne. Production across Eastern Europe is seen sharply lower this coming season on a combination of lower plantings, drought, frost and reduced inputs. From the Black Sea across Romania, Hungary, Bulgaria and into Poland winter wheat seedings have been badly affected by all these problems, but the trade seems to have taken a while to waken up to exactly how bad things are. Severely delayed spring wheat plantings in the US, and an almost unimaginably bad 16-month long drought in Argentina is slashing world production by the day. Suddenly agri-commodities are the thing to be in, outstripping almost every other sector. They were the first to die a death, and look set to be the first to recover from the economic malaise of 2008. With London wheat futures tonight closing with a GBP11.50/tonne July/Nov carry, bring it on, wheat is the new money! The overnight markets closed steadier with beans around 10-14 cents higher, and corn & wheat both up around 4-6 cents. July beans closed at session highs of $11.84 3/4, within sight of Wednesday's 8-month high of $11.89 1/2. Another week of monster export sales, pushing almost 1.4 MMT, and the ever-present China and their euphemistic chum "unknown destinations" are really beginning to put the frighteners on this market. Where were the cancellations that the market has been talking about for weeks, nowhere to be seen yet again. Today's story is that China are cancelling and/or rescheduling South American beans. It seems quite unlikely that they'd be cancelling with prices at eight month highs. So why aren't they rescheduling US beans? Is it because of quality issues with South America? If it is then those problems aren't going to go away any time soon. Already the most recent USDA estimate for Aug 31st ending stocks of 130 million bushels looks way too high to me, we've had sales of 1.1 MMT of old crop beans in the last fortnight since that number came out. And of course a potentially late harvest means that those beans have got to last into the beginning of September too. Corn and wheat followed beans higher, with stronger crude oil & metals added to a weak dollar also adding a bit of support. For corn & spring wheat delayed planting progress is also a bullish factor. Argentine wheat plantings continue to be frustrated by drought. Former Ag Sec Miguel Campos is quoted on Bloomberg as saying: "Right now fields have such a low level of water that makes it impossible to produce. Planting with this drought is not just a risk, it’s senselessness." Wheat plantings in Argentina this year are forecast to be the lowest in a decade. Another drought-ravaged crop in 2009 would see the country, that was only a couple of years ago one of the world's top five wheat exporting nations, forced to import wheat. 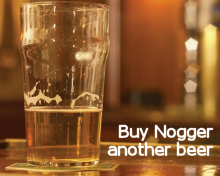 Pre-weekend profit-taking and unwinding could be a factor this afternoon, which may mean we could trade in a fairly wide range either side today. Whilst the nearby fundamentals of stocks and weather are mostly bullish, there could be a strong temptation to take some money off the table. Chicago is closed Monday, as we are here in the UK, so whatever happens tonight there could also be a large move either way Tuesday morning depending on how the weekend weather has performed. Yesterday's 5-day forecast from StormX was revised wetter, with seventy percent of the Corn Belt seen getting varying amounts of rainfall. Showers would be welcome in Minnesota, South Dakota, Nebraska and Iowa, where field moisture has diminished after windy, hot conditions earlier this week, they said. However, rain is definitely not needed in Missouri, Illinois and Indiana where growers are scrambling to plant corn following serious rain-related delays, they added. Check out their excellent website later in the day for their latest shout on this weekend's prospects. Early calls for this afternoon's CBOT session: Corn 4 to 6 higher, Soybeans 10 to 12 higher, Wheat 5 to 7 higher. Time is running out for US farmers to get their spring wheat plantings done. With just 50% of the crop in the ground as of last Sunday, compared to 90% normally, it will be interesting to see exactly how much progress has been made this week. That is particularly true of the top-producing state of North Dakota, which had just 31% of the crop in the ground Sunday, compared to 87% normally. Allendale say that "estimates are now 1-3 million acres will never get in" nationally. Certainly there are quite a few things that will be running through farmers' minds at the moment. Wheat planted this late in soggy conditions will probably see yields adversely affected. In addition the generally accepted "deadline" for spring wheat seeding is May 31st. Critically, this is also the deadline for growers to apply for full crop insurance coverage, crops sown after this date will pay out less insurance money if farmers need to file a claim. It will not have escaped growers' notice that Chicago soybeans are pushing their highest levels since September either. Maybe the wet April/May has provided a window of opportunity? Certainly, soybeans have a proven track record in planting in soggy conditions if last year was anything to go by. Widespread rains have finally arrived for Western Australian farmers itching to get planting wheat. The southwest corner of WA was hammered by gales, squally showers and thunderstorms on Friday for the second consecutive day, report Elders on their website. The wild weather comes as a blessing for grain growers hoping for a good start to the cropping season after a record warm and dry start to the month. Perth received no rain and average maximum temperatures of 26 degrees until the 20th but has now picked up 24mm and shivered to just 17 degrees on Friday, their coldest day since September, they add. The rain was heavier to the north and south of Perth with Brunswick Junction receiving 119mm over the past 48 hours, their wettest 2 day period in 24 years. In the Central West Northampton's 60mm on Thursday was their heaviest rain in nine years. The wheat belt also received good falls with between 5 and 30mm, they conclude. Western Australia is the nation's top producing and exporting wheat state. Hungary has not had any significant rainfall since March, the state-run agricultural think-tank now says that the wheat crop there could fall to 4 MMT, down 28.5% from last season's 5.6 MMT. Czech grain production has also been hit by drought. The Agrarian Chamber sees total grain production this season down at least 17% and "probably more", without putting a tonnage on projected wheat output specifically. A 17% fall in wheat production would give us a crop of 3.9 MMT from 4.7 MMT last year. Bulgaria's National Grain Producers Union sees below average yields this year, with wheat production likely to fall around 20% to circa 3.5 MMT. Plantings were sharply lower after the EU Commission used satellite monitoring to reveal that land that some Bulgarian farmers were claiming set-aside for turned out to include sports stadiums, rubbish dumps and even graveyards! That put the blocks on huge tranches of farm aid destined for Bulgaria just when crops were due to be planted last autumn. 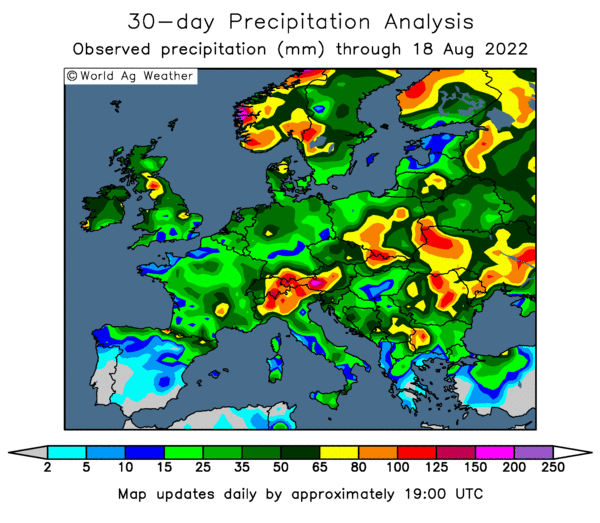 Low April rainfall may have been partially alleviated by improved precipitation in May "but it is too early to say" say the National Federation of Grain Producers in Poland. "The effects of the drought on the yields of summer grains are considerable in some regions," they added. Wheat production here may be down 5-10% this year according to local farmers, giving us a crop of around 8.6 MMT. Ukraine has suffered similar problems. "Frosts in April, and drought in March and April have affected crops and the future harvest. But recent rains have improved the crops," First Deputy Agriculture Minister Yuri Luzan said. Wheat production seen 27% lower by the USDA to 19 MMT on a combination of reduced acreage and yields due to weather and decreased inputs. Romania is on the verge of declaring a "calamity state" with almost a quarter of winter plantings destroyed or damaged by drought. A new official crop estimate will be made in early June. Dry spring growing conditions are expected to cut Ukrainian wheat production this season, says Gail Martell of StormX, with quality also an issue for the second year running. A record wheat harvest of 25.9 million metric tons was gathered last year, but crop quality suffered in a rainy May-June ripening period. Indeed, more than half the record wheat production was downgraded to feed-quality due to mold, sprouting and other wet-weather problems. Even so, Ukraine has exported an estimated 12 million metric tons of wheat in the 2008-09 marketing season, establishing itself as major player in global wheat trade, says Gail. May growing conditions have been much drier this year, suggesting sharply reduced wheat production. Dry growing conditions in spring usually improve the protein content of wheat that is valued for bread making. However, due to a severe credit crunch in Ukraine farmers reportedly applied fewer fungicides and insecticides. Traders predict quality will be sub-par for the second year in a row, adds Gail. The USDA has pegged new-crop Ukraine wheat production at 19 million metric tons on the May Supply-Demand Report and 27% less than 2008. Ukraine wheat exports were set at 6 mmt and 50% of last year. More than a million hectares of Romanian wheat and rye have already been damaged by drought as the country braces itself for a forecast very dry June. Daniel Botanoiu, adviser to the State Secretary with the Ministry of Agriculture, Floristries and Rural Development Catalin Rosculete, said that almost a quarter of the nation's planted area of around 7 million hectares was affected. Of that, more than 600,000 hectares was already 50% destroyed he said, with much of the remaining area 50% damaged, he added. Agriculture Minister Ilie Sarbu said that the country was on the verge of declaring a "calamity state" as only 500,000 hectares of the country's area under seed had adequate irrigation systems in place, with conditions expected to worsen next month. "It is a sure thing that June has been forecast as a very dry month," he said. Romania produced around 6.4 million tonnes of wheat in 2008, and was expecting output of around 5.2 million tonnes this year on a smaller planted area and reduced inputs. What size the crop now? Four million? July corn closed at $4.24, down 2 cents. Corn fell from a seven month high hit Wednesday pressured by lower crude oil and falling stock markets. Still, export sales were robust yet again and point towards final US ending stocks being below current USDA projections. The weather in the US is a mixed bag for the holiday weekend, showers are welcome in Minnesota, South Dakota, Nebraska and Iowa, where field moisture has diminished after windy, hot conditions earlier this week, say StormX. But rain is definitely not needed in Missouri, Illinois and Indiana where growers are scrambling to plant corn following serious rain-related delays, they add. July Soybeans at $11.75, up 6 cents, and November Soybeans at $10.23 ½, up 9 cents. Weekly export sales were very strong, and yet again talk of Chinese cancellations, or at the very least deferrations, once again failed to materialise. In fact if Chinese purchases continue at this kind of level then we are potentially looking at the tightest US ending stocks in many years, possibly on record. This is a situation that should not be underestimated, with late plantings and therefore maturity & harvesting, coupled with the dramatic crop reductions in Argentina, the US is in very real danger of running out of soybeans this year. I know that this probably sounds like a ludicrous situation, but leaving yourself exposed to buying spot soymeal in Europe in August/September is a very dangerous game to play. With spot hi-pro prices now already in the GBP300's I wouldn't be surprised if things didn't have a 4 in front of them come mid-summer, if you can buy it at all that is. July CBOT wheat finished at $5.93 ½, down 4 ¼ cents, Minneapolis closed higher. Acute planting delays still exist for US spring wheat, certainly unless it gets in the ground this next week, at the very least yields will be badly affected. Most estimates point to between 1-3 million acres that won't ever get planted. That's bullish for wheat, especially given the problems with winter wheat from some pretty appalling conditions the last few months. And it's not like the rest of the world is having a fantastic time either, certainly there are very real causes for concern in many of the major wheat exporting nations. EU wheat closed mostly lower Thursday, tracking Chicago wheat and crude oil and equities. Paris November milling wheat was up EUR0.50 at EUR156.75/tonne, and London November feed wheat was down GBP0.35 at GBP128.65/tonne. Other Paris contracts ranged from EUR0.25 higher to EUR0.75 lower. London wheat was between GBP1.75 and GBP0.25 lower, with new crop gaining on deferred months, the May/Nov spread was back up to GBP10.15/tonne at the close, which will do little to encourage old crop selling. Eastern European crops are in need of some moisture relief, with crops from Russia's Black Sea states, across Ukraine and through into the Balkans and Poland all suffering from varying degrees of dryness and heat stress. 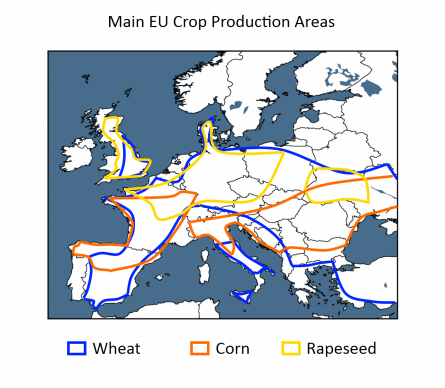 Spain too, typically a large importer of UK wheat, is also expected to harvest a sharply reduced crop in 2009. Winter wheat in the US has had far from ideal growing conditions, and spring wheat planting is severely behind schedule, as is winter wheat planting just getting underway in Argentina. As you can see there are plenty of question marks hanging over large swathes of some pretty major wheat producing nations, with the "comfort zone" of a GBP10/tonne premium going in from old crop to new the only incentives to sell are the need for cash or lack of storage. Three cargoes of Russian wheat have now been impounded by the Egyptian authorities as potentially unfit for human consumption, according to media reports. This may encourage some importing nations to look elsewhere for wheat over the next couple of months. USDA Export Sales Report: Where Are All The Cancellations Than? The USDA's weekly export sales report said that 700,600 MT of old crop soybeans were sold in the week ending May 14th and a further 667,000 MT of new crop. That comes in considerably higher than trade expectations of combined sales of 650-800,000 MT and should add some underlying support this afternoon. Early calls had been for beans to open 9-12 cents lower in line with the overnight theme, and ahead of a three-day weekend some profit-taking and book-squaring was expected. There was undoubtedly a lot of interest in this report as the USDA's website crashed, delaying the issue of the figures. Old crop sales were up 74 percent from the previous week and 12 percent from the prior 4-week average. Increases were primarily for China (192,600 MT), Egypt (161,900 MT), and unknown destinations (128,000 MT). New crop sales were were mainly for unknown destinations (293,500 MT), China (236,000 MT), and the United Kingdom (60,000 MT). Where are all the cancellations? Good question, actual exports were 413,500 MT with 190,300 MT of that setting sail for China. Corn sales came in in line with expectations at 683,000 MT old crop and 138,600 MT new crop. Wheat sales were better than expected for once at 20,200 MT old crop and 543,300 MT new crop, compared to pre-report suggestions of 300-400,000 MT combined. The overnights closed lower, taking a breather from recent rallies that pushed soybeans close to eight month highs and CBOT wheat to its highest levels since January. Beans closed with losses of around 9-14 cents nearby and 3-4 cents in new crop months. Old crop declined on renewed talk of Chinese cancellations and/or at the very least deferring some existing orders. Chinese soybean futures closed higher as cash supplies stay tight due to aggressive government stockpiling. Further evidence, or otherwise, of China booking further US beans may be revealed in the USDA weekly export sales report due at 13.30BST. Trade expectations for that are beans 650-800,000MT; corn 850-1.1MMT; wheat 300-400,000MT. Corn and wheat closed around 3-5 cents lower, dragged down by weaker outside markets as crude fell from it's highest closing levels since November and global equities also took a tumble. In Europe the FTSE, DAX and CAC are all down around 1.5-2% after Federal Reserve minutes showed that the central bank has lowered its forecast for US growth. Wall Street is expected to follow suit and open lower. Crude is around a dollar easier on evidence that demand is continuing to shrink despite refiners best efforts to keep supplies tight. Japan bought 107,000MT of wheat in a routine tender, mostly of US origin. For global wheat crops dryness in Eastern Europe and Argentina plus too much rain in the US remains a threat to yields and/or plantings. The threat of a co-ordinated European-wide milk strike is on the cards if a meeting of of European Union farm ministers in Brussels next week fails to "quickly implement" a serious milk policy in Europe. So warned the European Milk Board in a joint statement with the OPL dairy producers' lobby in France. Dairy farmers across Europe are losing money hand over fist, with farmer protests in France and Germany in recent weeks seeing gallons of milk and manure dumped in front of government offices. As we all know the French love a good protest, but just for once they might have picked a worthwhile cause here. They are blaming the supermarkets of cashing in on the farmers plight, whilst continuing to generate huge profits for themselves (you won't catch me arguing with that one) and the phasing out of the milk quota system. Certainly something needs to be done and quickly with farmers leaving the industry in droves. Unless of course you think it makes a huge amount of sense to get rid of all the smelly methane-farting cows destroying the environment and import our melamine flavoured milk from the other side of the globe Mariann? The Renewable Fuels Agency reports 1087 million litres of biofuel have been were used between 15 April 2008 and 14 February 2009 under the RTFO. This is approximately 2.7% of total road transport fuel. More biodiesel (84% or 914,000 million litres) has been supplied than bioethanol (16% or 173,000m litres). Around a third, or 370,000m litres, of the biodiesel was produced from soybean oil, 269,000m litres from rapeseed oil, 138,000m litres from sugar cane, 109,000m litres from palmoil, and 94,000m litres from tallow. In the case of ethanol production, 138,000m litres was based on sugarcane, 33,000m litres on sugarbeet and 1,000m litres on molasses. The most widely reported source of biodiesel was American soy (26% of biodiesel supplied). The most widely reported source of bioethanol was Brazilian sugarcane (79% of bioethanol supplied). Pound Tumbles: Is Britain Set To Join The PIGS? The pound fell sharply in early morning trade after S&P revised down U.K. outlook to negative from stable, saying that the U.K. debt burden could approach 100% of GDP and remain near that level in the medium term. If Britain were to lose it's top credit-rating for the first time, then we would join the PIGS (Portugal, Ireland, Greece and Spain) as the fifth western European nation to do so since the current economic malaise hit. Sterling took a nose-dive on the news, despite other data revealing that retail sales grew by 0.9% in April, more than the 0.5% expected. The ONS said retail sales value was 3% higher than in April 2008, although that may have more to do with Easter being early last year than anything else. The pound slumped from an early morning high above $1.58 to around $1.56 by 10am BST. Brazilian ethanol producer Infinity Bio-Energy says that falling prices and lack of credit have forced it to file for bankruptcy protection. The company operates five mills in the states of Mato Grosso do Sul, Minas Gerais and Espirito Santo. Earlier this week US leading producer Pacific Ethanol said that four of it's subsidiaries had also filed for Chapter 11 bankruptcy protection. Earlier this week President Barack Obama introduced a new proposal to boost US fuel economy, suggesting that all passenger vehicles must be able to average 35.5mpg by 2016. Ethanol's lower energy content means that vehicles burning fuel blends with high inclusion rates such as E85 (85% ethanol:15% gasoline) get a lot less mpg. Typically 20-30% less according to some reports, making complying with this new proposal AND burning E85 impossible for many. It seems that the best hope for the ethanol industry from here is to push for the inclusion level in normal gasoline to be hiked from 10% to 15% as soon as possible. Australia growers are hoping for heavy rainfall to replenish dry fields for wheat planting, reports StormX. The top wheat state Western Australia has been extremely dry since April 1 receiving less than 25% of normal rainfall, they add. Scattered showers have dampened wheat farms in southern New South Wales, but northern portions of that state are still very dry. Wide-scale wheat planting will not begin until soaking rains develop in the key producing areas, they conclude. Some farmers in the region might be getting what they wished for as a vigorous front has begun crossing the WA west coast in the early hours of Thursday morning say Elders on their website. As well as bringing much-needed heavy rains to some of the states parched wheatlands, the storms also come bundled with winds of up to 115km/hour. A severe weather warning is in place for the region. Early reports from Queensland, the country's fourth-largest wheat producing state and the first to begin harvesting, are encouraging where rains have been more widespread. Southeast Queensland's major dams have embraced their biggest rain in at least 10 years, causing total storage levels to jump from from 59% to 72% in just three days, according to Elders. Crude oil is lower this morning, with July retreating from last night's close of $62.04/barrel, the highest since November, on ideas that the recent rally to multi-month highs has been overdone. Prices rallied yesterday after US Energy Dept data showed crude oil stocks fell by 2.11 million barrels last week, a second week of substantial declines. Meanwhile gasoline inventories plunged by 4.34 million barrels. Both figures were substantially larger falls than had been expected. Traders noted however that the drop in supplies had more to do with decreased production than increases in demand. US refineries operated at 81.8% of capacity, down 1.9% from the previous week. Additionally, US fuel demand fell 7.6% in the four weeks ended May 15. At 9am London time July WTI crude was down 46 cents at $61.58/barrel. July soybeans closed at $11.69, up 7 cents, whilst November soybeans finished at $10.14 1/2, up 18 1/2 cents. Firmer crude oil and US equities added underlying strength to a bean market already buoyed by the tightest projected stocks to usage rate in history. In Argentina the Argentine Rural Confederation, or CRA, now peg the 2009 soybean crop at just 30.5 MMT, dramatically slashed by drought from early season expectations of a crop of 50 MMT. The trade will be scrutinising tomorrow's USDA weekly export sales report to see if China keeps coming back for more. July CBOT wheat finished at $5.97 3/4, up 9 cents, posting wheat's highest levels since January as US spring wheat plantings continue to be dogged by weather. Plantings are 50% complete as of Sunday, according to the USDA, well behind the five-year average of 90 percent. Persistent wet weather is also now starting to have a detrimental effect on winter wheat too, traders say. July corn closed at $4.26, up a quarter of a cent. Firmer outside markets, particularly crude oil and a weak dollar provided some support although a warmer, drier weather outlook should aid US plantings this week. There is some suggestion that fund money is starting to come back into the grains complex after investors got their fingers badly burnt last year. EU wheat futures closed higher Tuesday with November Paris milling wheat ending up EUR0.25 at EUR156.25/tonne, and July London feed wheat closing up GBP2.50 at GBP122.00/tonne. Sharply higher Chicago markets dragged European grains higher despite a weak dollar. US soybeans pushed to 7 1/2 month highs overnight after private firms Informa Economics and FC Stone both said that US ending stocks could fall below 100 million bushels this year. That equates to just about a weeks usage, which is potentially perilously tight as China keeps stockpiling US soybeans in the wake of drought in Argentina slashing the crop there to around 30-32 MMT. US wheat also moved higher on fund buying, supported by the weak dollar and spring wheat planting delays, hitting their highest levels since January. 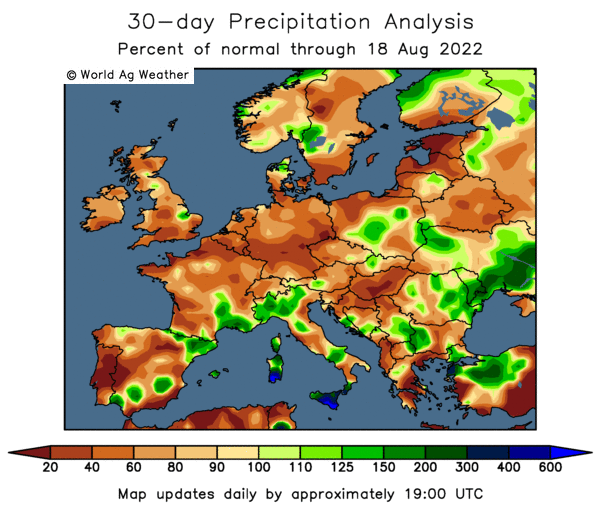 Concerns are also emerging for Eastern European wheat crops, particularly in Poland, Hungary, Bulgaria and Romania which has been dry and unseasonably hot for the past couple of weeks. Conditions have improved somewhat in the UK, France and Germany however. In London the spread between May and November narrowed a little to GBP9/tonne from GBP10/tonne at the beginning of the week. Nevertheless that's still a decent GBP1.50/tonne per month carry. Consumers appear to be banking on the idea that some pressure will come into play due to lack of available storage as the harvest nears. Has Anyone Seen My Panic Button? The lowest estimate yet for this season's Argentine soybean crop comes from the Argentine Rural Confederation, or CRA, who now peg the 2009 soybean crop at just 30.5 MMT. That's a far cry from early season expectations of a record 50 MMT harvest, and highlights why China just keep coming back for more US soybeans. As well as quantity, quality seems also set to be an issue with Argentine beans this year, reducing US stocks to precariously low levels. Earlier this week Informa pegged August 31st US ending stocks at just 77 million bushels, significantly lower than the USDA's figure of 130 million released last week, and the smallest stocks since 1972. Stocks to usage meanwhile is the tightest on record at 4.3%. To put this into perspective, the Informa figure equates to just one week's supply, which is incredibly tight considering the late start to planting in the US. EU wheat closed higher Tuesday with November Paris milling wheat ending up EUR1.50, or 1%, at EUR156.00/tonne, and November London feed wheat closing up GBP1.00 at GBP129.00/tonne. A weak US dollar capped gains but a lack of farmer selling and concern over Egypt having quality problems with Russian wheat was enough to send the market higher. A GBP10/tonne carry between July and November UK wheat futures continues to encourage domestic farmers to carry wheat rather that sell. July soybeans settled 16 cents higher at $11.46 1/2 a bushel. Higher crude oil, a steady stock market and weak dollar supported beans. Warmer and much dryer conditions have begun across Missouri, Illinois and Indiana. The next ten days will continue to see this new dry trend, says Allen Motew of QT Weather. This may scupper trade ideas that an extra million acres intended for corn will get switched into beans. Temperatures reach 20-24 degrees above normal over the Central High Plains today and tomorrow with the “heat” moderating and spreading eastward into the Corn Belt on Tuesday, he says. This should enable US farmers to wrap up much of their corn planting and get cracking with soybean seedings. As of Sunday night 25% of the soybean crop was planted, according to the USDA, still lagging well behind the five year average of 44%. July corn ended up 4 1/4 cents at $4.21 1/2 per bushel. As with soybeans, a weak dollar and firm crude oil and equities supported corn. US corn planting was 62% complete as of Sunday night the USDA said after the close, still well behind the five year average of 85%. Warm and dry conditions across the Midwest will finally enable US farmers to get most of their remaining corn into the ground this week. CBOT July wheat ended up 13 cents at $5.90 1/2 a bushel. 48% of the winter wheat crop was rated good/excellent condition according to the USDA, that's two points up on last week. Spring wheat plantings continue to lag at 50% complete compared to 90% normally at this time of year. The major US-producing state of North Dakota has just 31% of the crop in the ground, compared to 87% normally.Egypt has reportedly impounded more Russian wheat on quality grounds, which may provide a window of opportunity for higher grade US or European wheat. Firmer crude and equities were supportive for US wheat, as was a weak dollar. EU Wheat futures closed mixed Monday with Paris November milling wheat closing up EUR0.50 at EUR154.50/tonne, and London November feed wheat closing down GBP0.75 at GBP128.00/tonne. It's been a quiet day with little fresh news to get too excited about. Media reports suggest that three Russian ships have now been impounded with wheat that the Egyptians are saying is unfit for human consumption. Private sources suggest that this is a ruse by Egyptian officials who have been blatantly milking the system, and have been caught "with their hands in the till" who are using the excuse of quality to mask their own shortcomings. Currency issues also influenced prices today, with the pound showing strength against the dollar, but the euro weakening.